As Brisbane prepares for a population increase of up to 400,000 by 2041, residents are being invited to help guide the future of the city and suburbs, with the launch of Brisbane City Council’s Plan Your Brisbane project. Lord Mayor Graham Quirk said council was launching a city-wide conversation. “Plan Your Brisbane is designed to give everyone the chance to have their say about the future of our city: what they like, what they want to change and how the next chapter of our city should be shaped,” Cr Quirk said. “We want to hear what people want to see for our city and our suburbs, whether that is more green space, more leisure and lifestyle options, more public transport options or less traffic congestion. Cr Quirk said that with a number of city-shaping projects currently underway, it was important for the community to be part of creating a vision for Brisbane. “With works on the Queens Wharf project and Howard Smith Wharves revitalisation well underway, as well as the second runway under construction at the Brisbane Airport and the Brisbane Metro starting, it is important that Brisbane takes advantage of these city-shaping opportunities,” he said. Plan Your Brisbane will involve a city-wide series of events, school activities and interactive digital opportunities for people to voice their views on city priorities and get involved in the conversation about Brisbane’s future. Residents can get involved with Plan Your Brisbane by completing a short survey or visiting Council’s interactive displays. 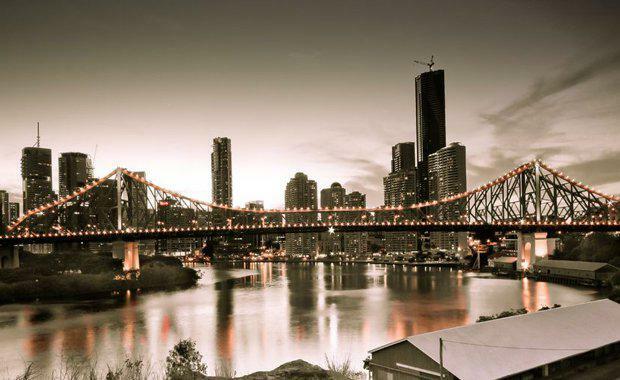 The initiative follows the Queensland Government’s recently released South East Queensland Regional Plan, which requires Brisbane to accommodate approximately 188,000 more dwellings by 2041 to cater for a growing population of around 386,000 new residents.